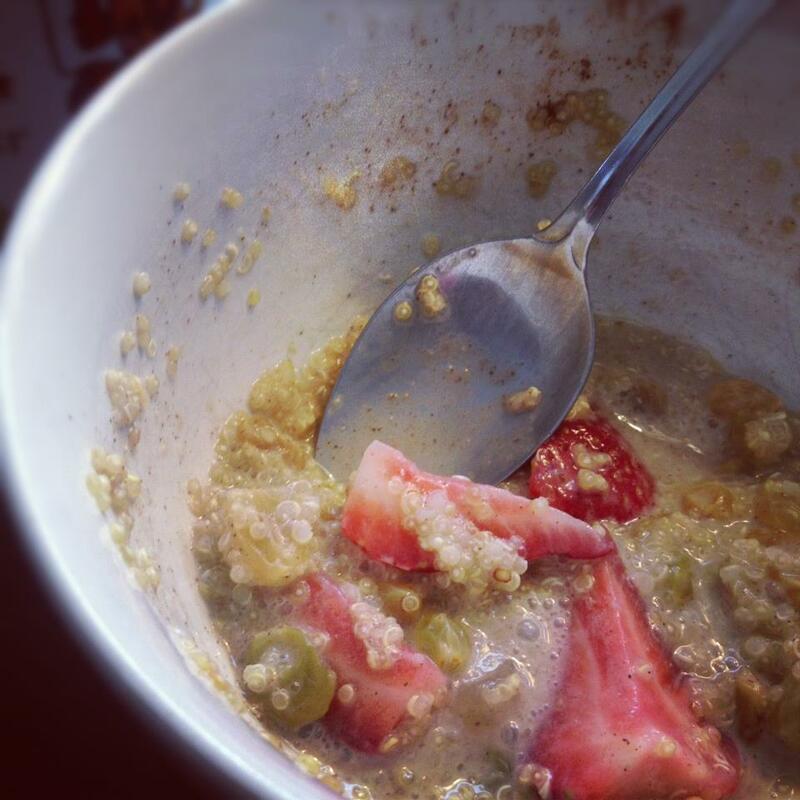 New favorite breakfast I must share: Quinoa! Boil quinoa as directions indicate, add a pinch of salt and some raisins. Once cooked through, add a splash of vanilla, some cinnamon, your favorite fruit and top with a bit of milk (soy, almond, cow’s, whatever you like). It’s full of protein, gluten free and delicious! This entry was posted in Recipes on February 21, 2013 by gfvermont.